A.For California, ONLY If we have a SIGNED PHYSICAL COPY of your resale card on file and it passes verification and is up to date. Expect a few unkind words if I think your story don’t hold water. A.Can’t you read?. A.For California, ONLY If we have a SIGNED PHYSICAL COPY of your resale card on file and it passes verification and is up to date. Expect a few unkind words if I think your story don’t hold water. Up for consideration is a 1904-(P) US/Philippines Peso in Choice About Uncirculated condition. Allen#16.03. 90% Silver. Struck at the Philadelphia Mint. 1905-S 50 Centavos. Light lustre is present below the toning. The obverse has a few small scratches, all rather light and visible only at certain angles when they catch the light. Indy West Coins Avon, Indiana. THE ITEM(S) PICTURED ARE THE ACTUAL ITEM(S) THAT YOU WILL RECEIVE . If the coin is removed from the holder, it is considered sold. Expect a few unkind words if I think your story don’t hold water. US Philippines 1909-S Centavo graded NGC MS-63 Red-Brown. 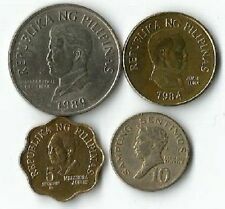 This Piso weighs 27.4g and has. 81 oz ASW See the pictures to judge condition of the coin for yourself. Pictures are of the coin you will receive. International is calculated by location. Philippines, Peso, 1907S, Toned Extra Fine. This coin has excellent detail under light toning. It contains .5144 troy ounces of actual silver weight. Please be sure to check out my other listings! Shipping: Shipping is $3.75 in the US and $5 to Canada. Domestic purchases are all sent with delivery tracking. All Other International Buyers: Shipping to Australia, New Zealand, Japan, Ireland, the UK, Singapore, South Korea, Switzerland, Austria, Belgium, Germany, Denmark, Norway, Finland and Sweden is $6 by regular mail. All other destinations are $33 by registered mail. Discounted Shipping for Multiple Purchases: If you win multiple items, I have the default set to add $1 for each additional item after the first on the majority of my listings. PHILIPPINES ONE PESO Silver 1907-S Cleaned. Shipped with USPS First Class Package. 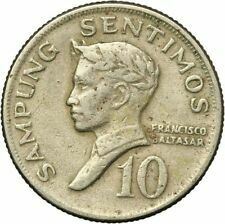 You are bidding on a 1907 S Philippines One Peso, USA Occupation, Filipinas One Peso Silver, as pictured. You will receive the exact coin shown. Add $0.25 in shipping for any additional items won. Please wait for an invoice if you have won multiple items so I can add the shipping discount if it is not automatically applied. Thank you! Shipped with USPS First Class Package. US Philippines 1930-M Five Centavos graded Unc Details Cleaned by NGC, nice coin, mint luster, no hairlines. US Philippines 1916-S Twenty Centavos Tilted 6 Allen 11.12a variety, graded NGC AU-55, 1 of 3 graded by NGC. US Philippines 1904 Five Centavos graded Proof Details, Obverse light scratch radiating to between 1 and 2 oclock, Reverse planchet defect at 10 to 11 oclock. Despite these defects the coin is nice in hand.
) 2018-08-28. d y ( 1263. ) 2018-09-09. ok a e ( 829.